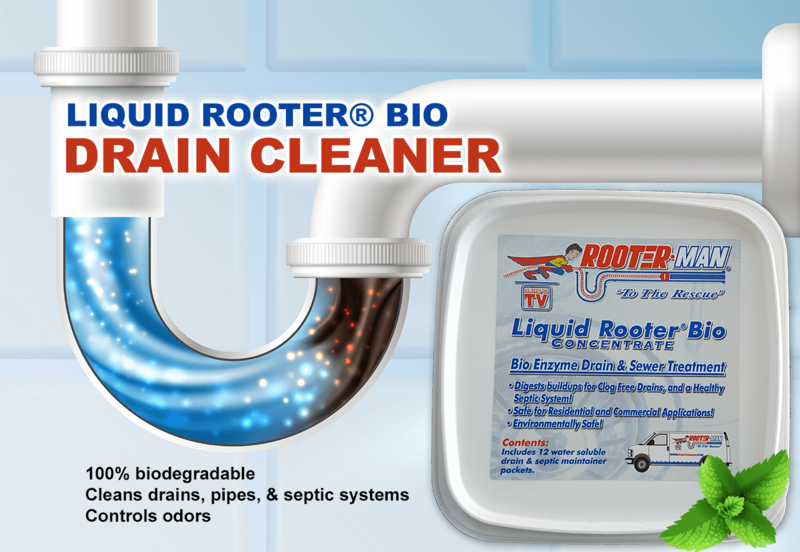 Liquid Rooter® is a liquid drain cleaner that is superior to commercially available products. It is Fast, Safe, and Effective. Rooter-Man Liquid Rooter® is a unique non-acidic, non-caustic formulation. Special enzymes contain live bacteria that attacks grease, fats, proteins, carbohydrates and controls odors. 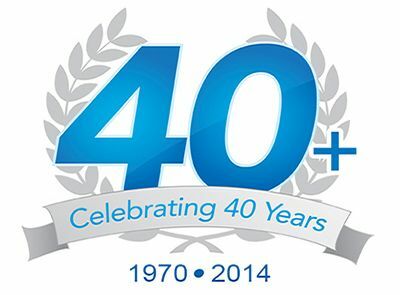 Liquid Rooter® will safely liquefy and clean organic waste, paper, grease, fats, and other build up in drains, pipes, or grease traps with no environmental impact. Our unique formula will restore normal biological activity in septic tanks. Rooter-Man is proud to announce its First Rooter-Man Branded Powder Drain Cleaning Product called Liquid Rooter Bio Concentrate! This powdered drain and septic maintainer is comparable to products like Bio-Clean. The product is sold in pails which consist of 12 water-soluble 2 oz soulpack packets. Sink drains are treated by allowing 1 solupack to dissolve in the water then releasing water into drain. Septic tanks are treated by allowing 1 solupack to dissolve in toilet then flushing toilet. Rooter-Man Liquid Rooter® will help prevent blockages before they happen and quickly clean and deodorize all areas of drainage systems. Rooter-Man Liquid Rooter® is 100% biodegradable. It does not contain any petroleum based solvents or other harsh chemicals. These products are only available through your local Rooter-Man Dealer!